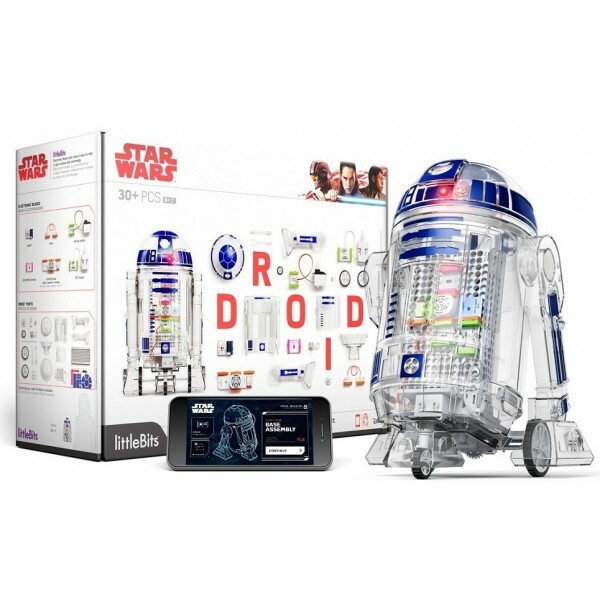 Kids can create their own custom Droid and bring it to life using littleBits electronic blocks with this multi-award winning kit! With the free Droid Inventor app, they'll give their R2 Unit new abilities and take it on over 16 missions. Then they'll level-up their inventor skills, reconfiguring parts to design any Droid they can dream up. littleBits are a modular electronics system that easily snap together with tiny magnets for prototyping or experimental play, no soldering required. Since the components are easy to pop together and apart, kids can experiment with circuits and invent just about anything they dream up! 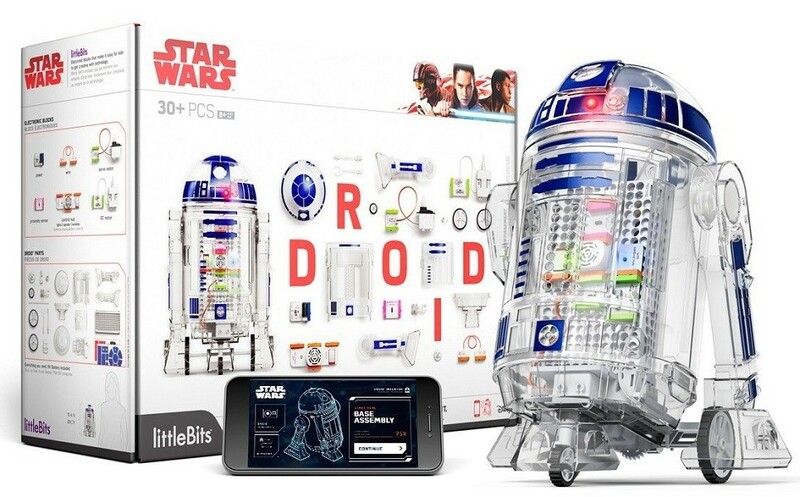 Plus, since all of the kits are compatible, you can add more functions from other littleBits sets to this one, meaning the only limit to your Droid's capabilities is your own imagination. For more littleBits kits, visit our littleBits Collection.